Our Prayer Group meets primarily to pray for Blackwood Uniting Church, its ministers, church council, elders and all groups and activities, and particularly sick members and families. Our prayers are also for our community, both local and international. Although we all may also pray for these concerns when we’re alone or during our worship services, sometimes we find find our strongest moments of prayer are those prayers shared with a few other Christians and that’s where we feel we can make a difference. We believe in the power of prayer to make a difference. 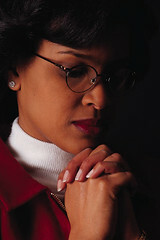 If you would like to participate in these weekly prayer meetings, please contact Doris Young.